You can't be a true G without a dope goatee. Your rhymes will be trash till you have a nice mustache. It's all about the facial hair in the rap game, till you grow it no one cares to know your name. Now don't trip, we got a quick fix! Check out this Rapper Mustache Goatee! Finally, your hip hop image can be complete. Throw this accessory on your face and you'll be ready to hit the stage! Once you've built up your reputation as a rapper you'll be ready to make some real change. If everyone loved your opinions and insight on the mic, they'd love to hear about your other worldly views on television. That's right it will be the perfect time to start that journalism career! So start working on that list of politicians and economists that you want to interview. 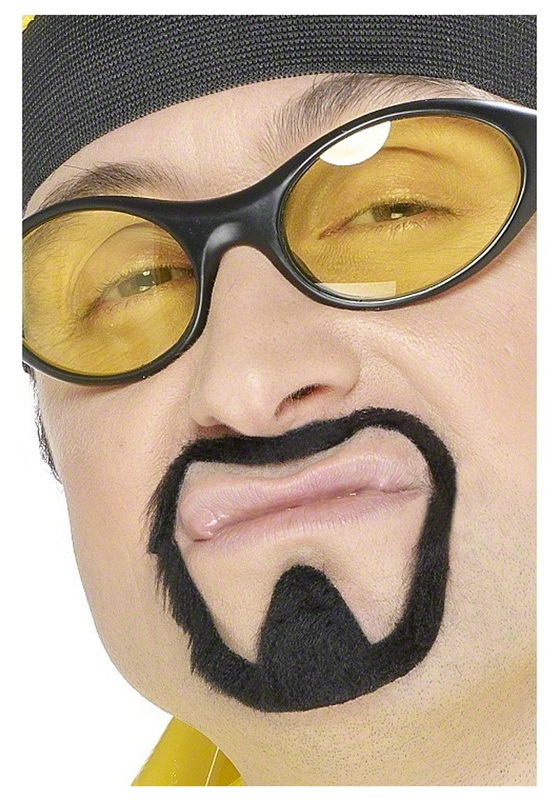 With this amazing Mustache Goatee accessory you'll be well on your way to the top in the world of entertainment.